Order fulfillment is the most important phase in a successful e-commerce transaction – it’s the time when your business meets your customers, greets them with a real ‘Hello!’ and completes the transaction. Everything prior to that – like your award-winning website design, sleek user interface and effortless checkout process – are just accessories that lead to this phase of receiving, processing and delivering orders to your end customers. Order fulfillment is the phase where you create a lifelong relationship with the customer or end the opportunity as a one-time purchase. 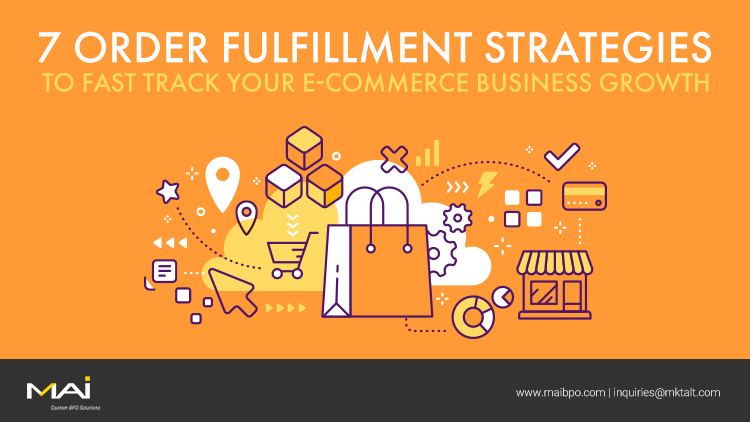 Thus, choosing or crafting the right order fulfillment strategy is critical to any e-commerce business. Your order fulfillment strategy determines how easily and quickly you can scale your business. A wrong choice can leave your business stuck while your competitors pass you by. Moreover, customer expectations change by the minute. Same day delivery and on-demand delivery are mainstream now. The idea of waiting for a package to be delivered is slowly fading into oblivion. E-commerce players need to arm themselves with a well-crafted order fulfillment strategy that will accelerate their receiving, processing and delivery of orders. Direct fulfillment is a DIY order fulfillment strategy. It is adopted by businesses from both ends of the spectrum alike - solopreneurs who are working out of garages as well as corporations who have a global business presence. While direct fulfillment gives total control over your order fulfillment process, it also demands effort, taking your time away from other important tasks that require your attention. In this order fulfillment strategy, fulfillment is taken over by third party logistics (3PLs) who do everything from storing the inventory to managing and shipping it to customers. The upside of outsourcing to 3PLs is that you will have more time to focus on other important aspects of your business like customer service, marketing, product expansions, etc. Drop shipping saves e-commerce business owners from the trouble of inventory management, packing and shipping. The order fulfillment model works by dispatching the goods directly from the manufacturer or vendor’s warehouse to the customer location. Drop shipping has been hailed as the savior for small-scale business owners, especially those who sell small-scale products like coffee mugs, t-shirts, etc. to a specific market. It works best if you sell to a niche market and have minimal competition. How big is your e-commerce business? Do you operate from your home or do you operate from a commercial office space – or do you have your own chain of warehouses and distribution centers? Small scale operations might want to opt for drop-shipping or engage with a 3PL. If you have thousands of orders pouring in on a single day that need to be processed and dispatched on the same day, you need some ERP firepower on your side. You can choose to invest in a full-fledged ERP system, subscribe to a cloud-based system or engage a 3PL to do the task for you. If you have very few orders that can be processed individually, direct fulfillment may be your best option. Product packing, shipping and inventory management need micro-level management. If your business caters to a niche type of audience with highly customized offerings, drop shipping or 3PL order fulfillment may not work as effectively as direct fulfillment. On the other hand, if you primarily ship the same type of products/packages, drop-shipping and 3PL order fulfillment can prove to be a cost-effective choice. Running a warehouse requires a large amount of space, administrative manpower and infrastructure. 3PL can bring those benefits to your business for a nominal cost. Drop shipping, on the other hand, saves you from any trouble related to owning or managing the inventory. Direct fulfillment would require you to create everything from scratch to run the order fulfillment process smoothly. If you can’t afford (or don’t want to) purchase and manage inventory, drop shipping is an ideal choice. Direct fulfillment and 3PL order fulfillment are the best options if you have a diverse inventory portfolio that fluctuates in volume all through the year. 3PL players can also bring the efficiency of an inventory management system to keep your bottom line in good shape. There are several factors that influence the selection of an order fulfillment strategy and there is no one size solution. You have to evaluate your business needs and correlate them against the pros and cons of direct fulfillment, drop shipping and 3PL.